A week ago, I spent a whole day at discovering bookstores which I had searched on the Internet. I think it is an exciting thing for people who are a big fan of books and reading like me. Now, I am going to introduce the bookstores in this blog. This bookstore is located in the area where the majority of residents are Australian and Western such as Italian. As a result of its location, its decoration is the compound of Australian and Western style. When I arrived here, I was attracted by its traditional design because of the light, the crowd and the arrangement of books. Moreover, I saw that a lot of people came here for purchasing the reading materials. This made me amazed because I had not thought that the store was likely to be crowded. Because of the Christmas season, maybe, just as people came here for buying books to reading, they also did that for the Christmas gift. On the other hand, the bookstore had a lot of kinds of books such as fiction, nonfiction, sci-fi, business, biography, crime, history, and so forth. From what I had seen, the majority of customers were likely to enjoy fiction, crime, sci-fi, biography, history, photography and design books, whereas there were a few customers who were likely to pay attention to business books. Aside from books, the store also bought things to listen such as CD and DVD disks. To conclude, I think this store is one of the best places to visit if you are into books and reading. This store is located in the area where the majority of residents are Australian. Second-hand books are main products of the store. Due to its location, its space is like Australian and Western traditional design. When I arrived here, I felt comfortable because of the lemongrass smell here. Because of the second-hand products, the store has many affordable books. It means books here are not too expensive to buy. The bookstore, however, is smaller than stores which I visited. Moreover, kinds of books sold in this store are limited, including nonfiction, fiction, children, crime, and general. As a result, there were a few people here. On the other hand, if you are the big fan of the kinds of books which I have mentioned above and second-hand books, I recommend that this store is the perfect place for you. This store is located in the center of Melbourne. Because of its location, there were a lot of people who came here for finding their books to purchase, including Asian, Australian, and Western people. In my opinion, this store is the best places to visit if you are into buying cheap and good books. After taking a sightseeing here, I bought three hardcover books with 10 bucks each book, including Mindsharing (Lior Zoref), Less is More (Jason Jennings) and Digital gold (Nathaniel Popper). On the other hand, this store had adequate kinds of books. I saw, however, the majority of the crowd came here for finding business, health, food and cooking, sport and travel books.Moreover, its space is not too traditional like stores which I visited. I, nevertheless, enjoy the store because it is possible to buy new hardcover books with the lowest price (10 AUD each book) and it has many best seller books which are sold with the lowest price. In my view, if you are keen on new cheap hardcover books, you should visit the store at once when you are in Melbourne. This store is located in the center of Melbourne. It was built underneath the ground. Therefore, it is difficult to connect with 4G here. However, because of its location, space and decoration, there were a lot of people came here. Before coming here, I had searched on the Internet that Minotaur store was one of the most popular bookstores in Melbourne. Therefore, I had imagined that it was similar to other bookstores which sell books, CD, DVD and music disks. When I was here, however, I surprised that Minotaur store was not like general bookstores because it sold both books and entertaining things like toys which are related to the content of books. For example, the store sells a lot of action figure which is related to Harry Potter books. The store mainly sells fiction, sci-fi, art and comic books (Manga and Anime) and toys. Just as it sells books and toys, it also sells boardgame and accessories which are related to online games like Overwatch, WoW, and so forth. Because I am a guy who loves reading and playing both offline and online games, I was impressed by the store’s products at the first time when I arrived here. 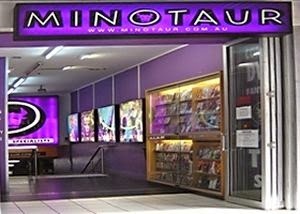 If you are a person who is into playing games, reading fiction, sci-fi, or comic books (Manga and Anime), I actually recommend you to visit Minotaur store at once when you arrive Melbourne. It is the perfect place for you. I ensure that if you are the person who I have mentioned above and you visit the store for the first time, you will be attracted and intend to go here again. This store is also located in the center of Melbourne. It was built underneath the ground of a commercial center. 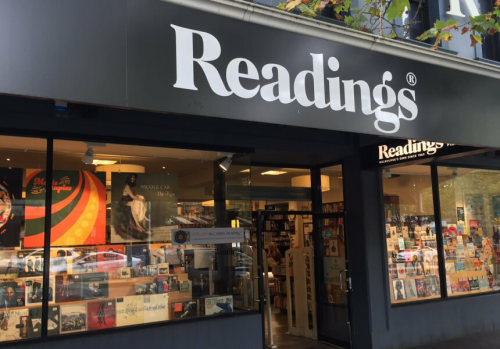 It is one of the most well-known bookstores in Melbourne. Due to its large space, the store sells adequate kinds of books, including fiction, crime, sci-fi, food and cooking, biography, history, business, nonfiction, comic and other kinds of books. 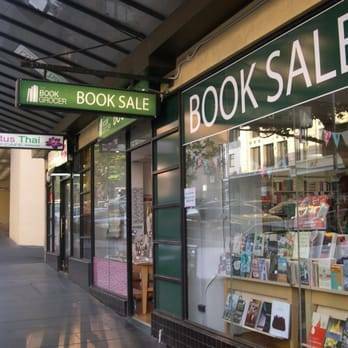 Moreover, it has a traditional design that is able to be like other bookstores in Melbourne. Because of its location, space, and design, there were a lot of people went here for buying books. As I saw, the majority of the crowd came here for choosing business, history, science, travel, psychology, food and cooking, and Australian books. Moreover, the majority of them were Australian and Western people, there were a few Asian people here. The store is the perfect place for finding your favorite books which you intend to buy. The prices, however, are expensive to buy the reading materials (from 17 to 40 AUD each book). As a result, I also recommend you to visit here at once for finding your favorite books, or rare books but you have to consider carefully before buying. 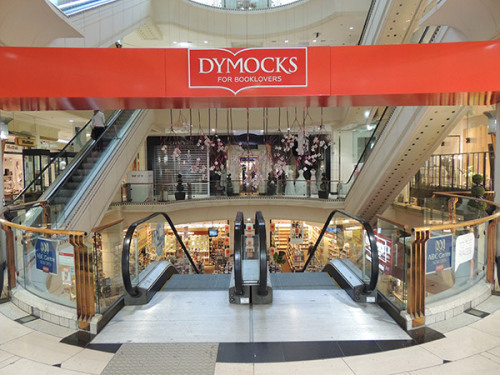 If you enjoy reading books, Dymocks store is also one of the best places for you in Melbourne. 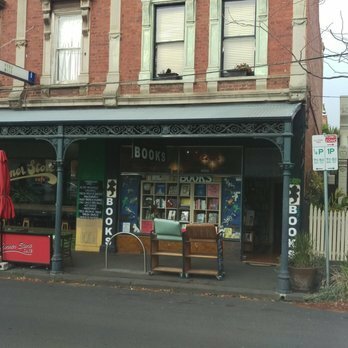 There are five bookstores which I discovered in Melbourne on December 23,2017 when I was in my spare time on holidays.